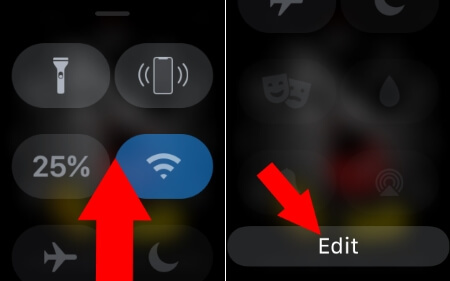 Finally, Apple added Customize Control Center in iOS concept into WatchOS, Yes you guy, watchOS 5 Apple watch wearers have the facility to Rearrange Control Center on Apple Watch. 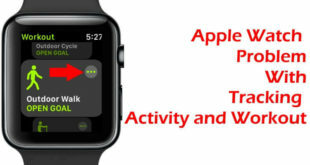 By this way, Watch users can set most utilize toggles on the top of the Control Panel of Apple Watch. In short, now Apple watch Control Center layout will become more easy to use than ever before. 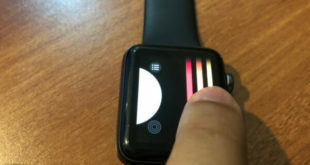 As you know, Apple watch has numbers of toggles in swiping up menu (CC) including check your battery Power, Cellular toggle (Apple Watch Series 3 or later), Airplane Mode, Silent Mode, Do Not Disturb, Lock your Apple watch, Water Lock, Theater mode, Wi-Fi switch, an icon to connect to an audio devices. 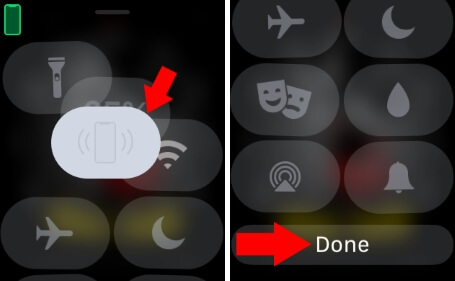 Lets in this thread, we will discuss how do I move or rearrange control center in watchOS 5 on Apple Watch without Paired iPhone. You can see below the evidence of the Apple watch screenshots to Edit Control Center toggles directly on your wrist. Step #1. Swipe up from the bottom of the WatchOS face to Open Control Center. Step #2. Next, Scroll down and tap the Edit button. Step #3. Now rearrange the varieties of Control Center toggles to your most useful by dragging Then tap on Done or use physically press Digital Crown side button to Save Settings. That’s it! Enjoy girls and boys the new concept of WatchOS 5 on your Apple Watch. 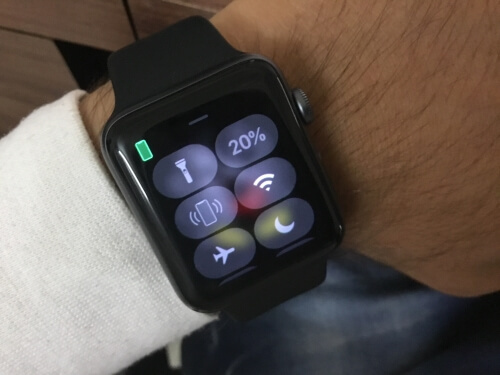 How Useful Rearrange Control Center on Apple Watch? For instance, probably you are not much using Theater mode then you can move it order and replace at the bottom for all time. And so that you can make more room to put the maximum useful button on the Top. What you like this tiny tip then don’t miss out to share your comments!